With Nationals over and the winners crowned, it is time to take a moment to recognize the top performers in the Men’s Division this season. While the talent of the division reaches far beyond short lists, the All-Club Awards are meant to honor those players who put together what we believe to be the best seasons in the Men’s game this year. The Player of the Year is an obvious pick for First Team All-Club, as Mickle was simply the best player on the planet for the past four months. Terms like “unguardable” get thrown around a lot, but there really doesn’t seem to be an answer to Mickle. He’s arguably the best thrower and the biggest deep threat in the game. Any player quick enough to stay with Mickle isn’t big enough to get the disc away from him, and once he has the rock, his ludicrous throwing range makes every inch of the field a threat. Teams shaped their entire playbook around stopping him this season and it just didn’t matter. Every year, Jack Williams gets better. In 2016, he was not an All-Club selection. Last year, he made the Second Team. Now, he makes his first appearance on the First Team after a fantastic season. Oh, and he was 1st runner-up for the Player of the Year award. At Nationals, he was first on the team in goals, first in blocks, and third in assists (behind Jon Nethercutt and Dillon Lanier, both handlers). He was Mr. 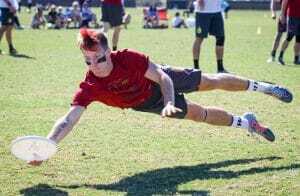 Clutch, too, coming up with huge plays in crucial spots, like on double game point against Machine in pool play. Can he keep up this torrid pace? Don’t bet against him. 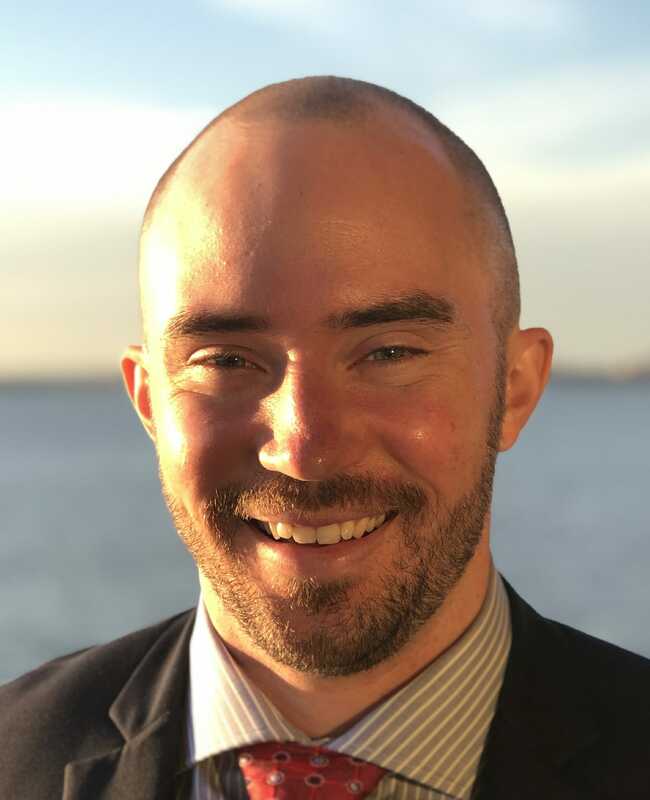 Grant Lindsley continued to be the crucial cog in the San Francisco offense and returns to the All-Club First Team after being selected in 2016. Lindsley’s extremely versatile offensive game made him a threat at every level of the field. Lindsley gets plenty of stats, no doubt, but it’s his work in the trenches that really makes the difference for Revolver’s offense. He gets open at high stalls, he grinds for unders, and he makes the tough throws that need to be made. It was another fantastic season for Lindsley. Back in 2013, I remember watching Chris Kocher on the NexGen Tour. Next to the heavy hitters littering the roster, his contributions were subdued — and he was toward the bottom of the team statistically. If you told me then that Kocher, in a scant five years, was going to be one of the most dominant players in the game, I’d have looked at you like you were crazy. Yet here we are. 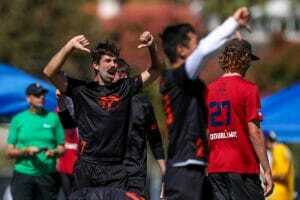 While he made his bones as a tenacious, hard-nosed defender, recent years have seen Kocher’s offensive star go supernova. 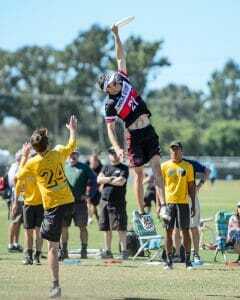 He can do it all: use his fabulous chemistry with Mickle in the handler space to attack the endzone, initiate and launch pinpoint hucks, and shut down the opponent’s biggest threat on the turn. Kocher is an easy pick for All-Club. It is his second straight selection to the First Team. The 2018 AUDL MVP continues to pick up accolades this club season, landing himself a First Team All Club honor to go with his with a Offensive Player of the Year Award. It was clear that Truck Stop were going to rely on McDonnell a great deal this season, as he was their most complete offensive player. He made the most of his varied skill set and positional flexibility, establishing himself as Truck’s scariest deep threat and most prolific long range thrower. His dynamism showed up on the stat line, leading the team (and tying for third overall) in assists at Nationals with 23 to go along with ten goals. But more than his stat line, or his abilities as a thrower or receiver, it was his role as Truck Stop’s go-to guy that made him so valuable. Whenever Truck needed a spark or found themselves in a big moment, Rowan seemed to be the player with the disc in his hands. It wasn’t selfish hero ball, it was the team firing up his bat signal and McDonnell answering the call. Truck Stop’s top five finish can be attributed to a teamwide effort, but there’s no disputing the one individual the team relied on the most. While Dylan Freechild didn’t have quite the season he did last year, he was still among the best of the best. His ability to create scoring opportunities with both his legs and his throws is just about unmatched in the Division, and he guided the Sockeye offense with his usual alacrity. What more is there to say about Freechild that hasn’t already been said? 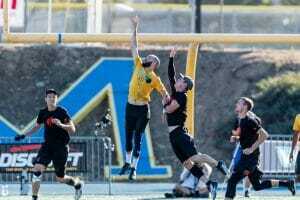 The Callahan winner and 2017 World Games gold medalist has continued to refine his game since his give-and-go college days, and he remains one of the top all-around threats in club ultimate. Jon Nethercutt is getting more efficient. That should scare everyone. The high-volume shooter was putting up similarly gaudy assist numbers this season, but he did it with far fewer turnovers than a season ago. His impact for the Ring offense wasn’t substantially different than it was last year. He was still airing out hucks and breaking the mark, building chemistry with a line that’s been pretty stable these last few seasons. But he’s not giving defenses as many chances, and that’s a huge step forward for his game. If he stays at the helm, it really feels like Ring will have their year at some point soon. 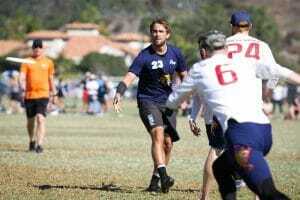 Comments on "Ultiworld’s All-Club 2018: 1st Team (Men’s), Presented By Greenbackr"